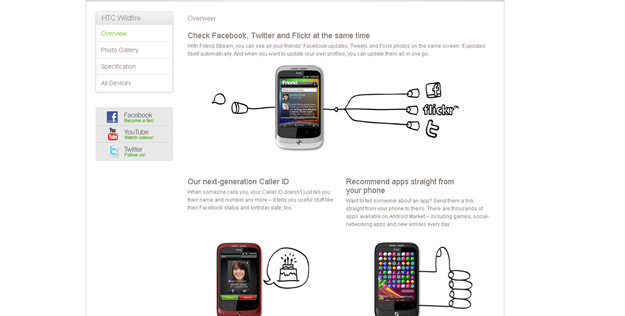 Oh how much I love HTC's website. 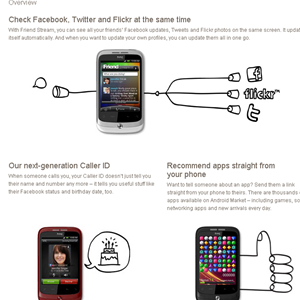 It is clean, simple, and very well laid out - other mobile companies should learn from them. HTC is not a small company by far but manage to present all the information we need in a way that no other manufacturer site I've seen (<3 HTC). 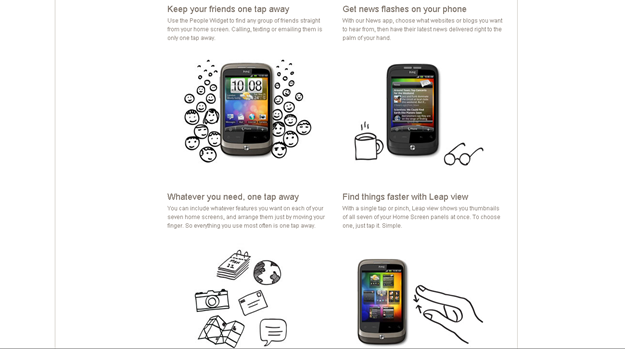 Remember the HTC Wildfire revelation to the public yesterday? 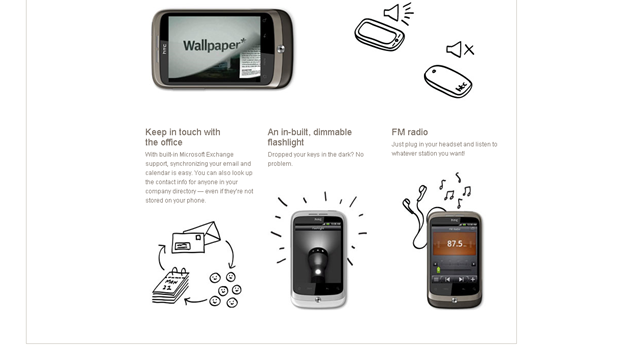 To keep the momentum going, this morning HTC launched their official HTC Wildfire site, full of specs, photos, and highlights. If you are interested in this phone at all, or if you want to see how different it is from your current device (which it is), you should definitely check it out.